Although summer is supposed to be here, I am still reaching for my darker lip shades, for today's post I wanted to show you my top three favourite lipsticks and although the shades are quite different, they all have a very similar moisturising finish. If you are looking for an extreme gothic purple shade, look no further than the Rimmel Kate Moss Lasting Finish lipstick in shade 04. I have pretty much bought every shade from this Kate Moss collection but 04 is certainly one of my favourites, it creates a bold look and it applies so well! 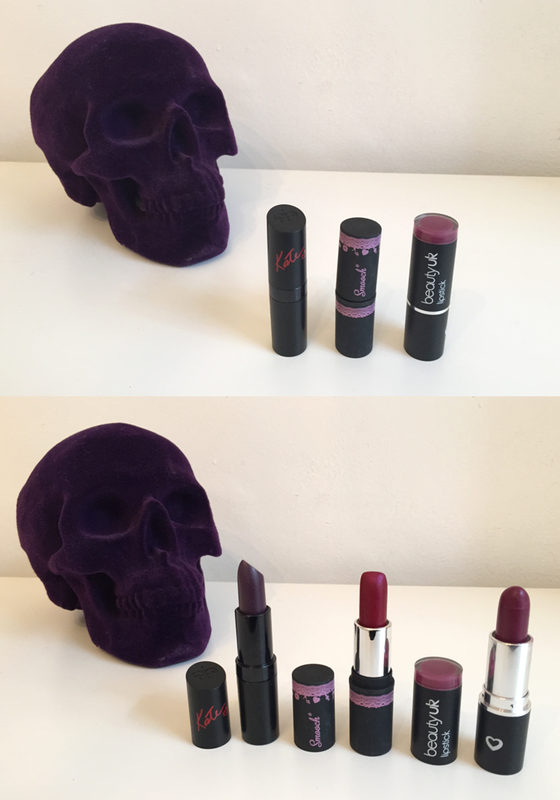 For a cheeky, cherry red lip shade, I still reach for the Smooch lipstick in the shade Merlot. Out of the three shades, this formula is definitely the creamiest and it really does feel lightweight on your lips. The weather has been so crappy here that it just feels like it's autumn already! 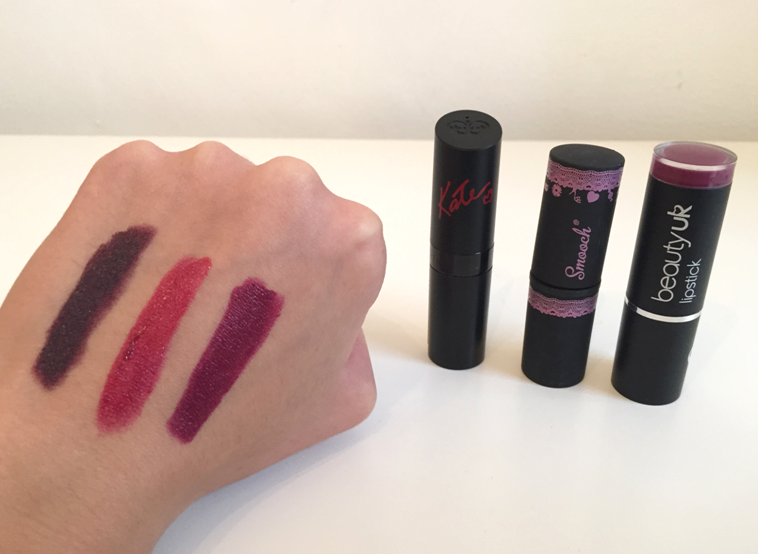 I love these lipsticks, not sure I'd ever be brave enough to wear them but really want to try a deep berry tone for winter! Which lipsticks do you find the least drying as I'm yet to find one that doesn't leave my lips feeling chapped!